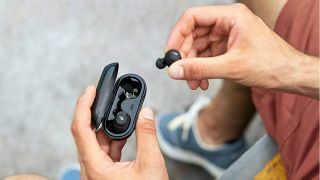 If you're looking for a cheap alternative to Apple AirPods, then you've come to the right place. Amazon has the newly released Soundcore Liberty Neo earbuds on sale for only $49.99. That's a $15 discount and the lowest price we've seen for the top-rated headphones by Anker. If you're interested in Apple AirPods we also have the cheapest AirPod prices, sales and deals that are available now.